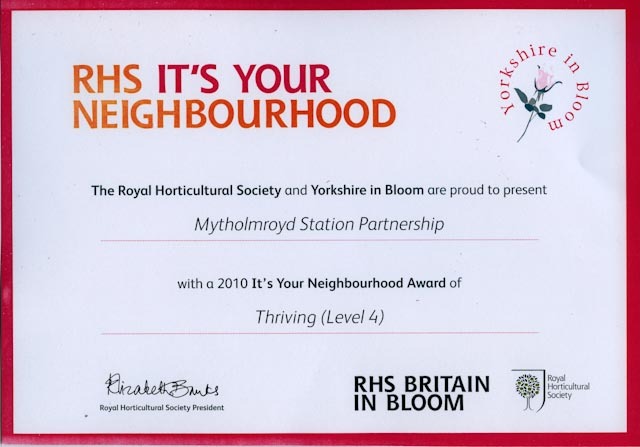 Thanks to all our station volunteers, supporters and sponsorship from the local community and businesses and not forgetting the local Councils and Northern Rail – we are have been deemed an Outstanding Neighbourhood in the Yorkshire in Bloom awards. 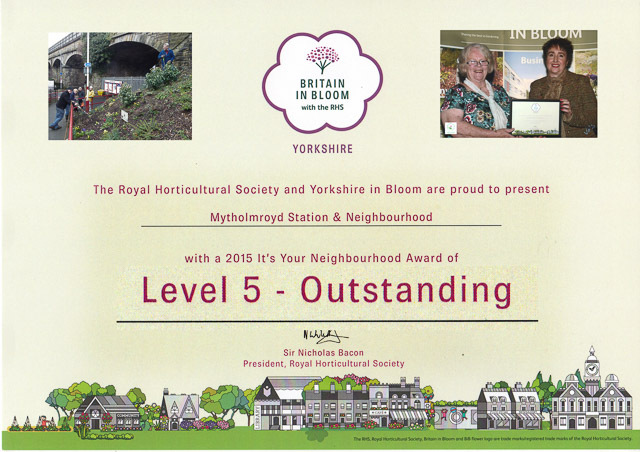 Thanks to Mary and Doris for venturing across to York to collect the Award – and have a nice lunch! 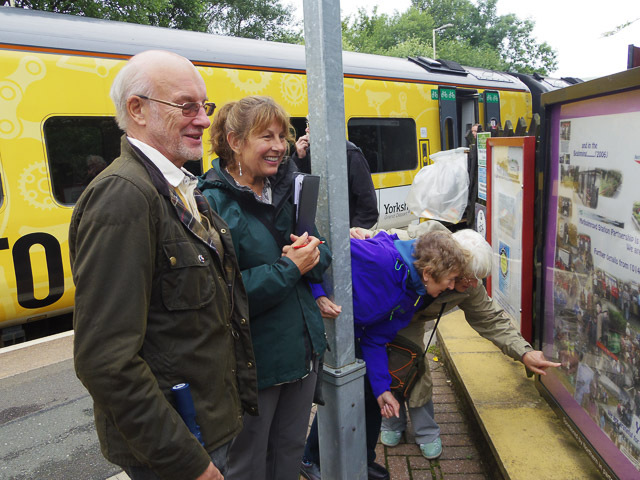 It threatened to rain upon them – but did not. 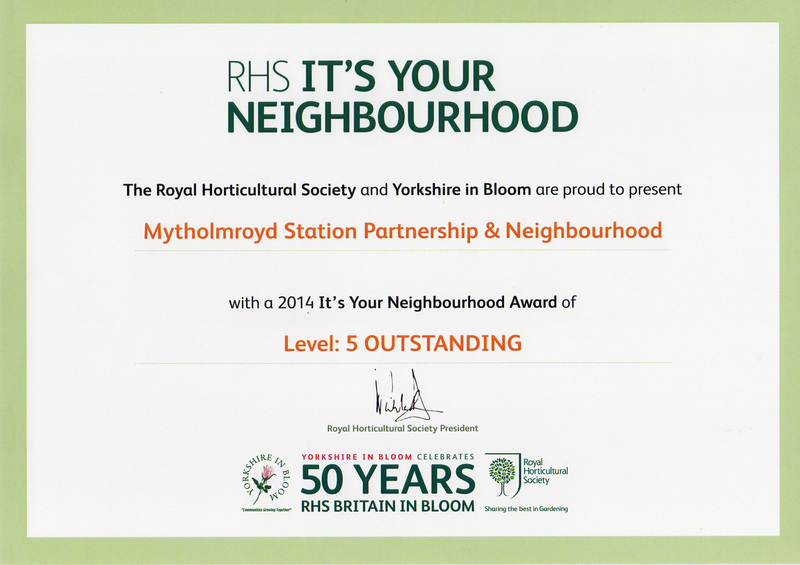 The Yorkshire in Bloom judges had a nice dry and friendly introduction to Mytholmroyd. 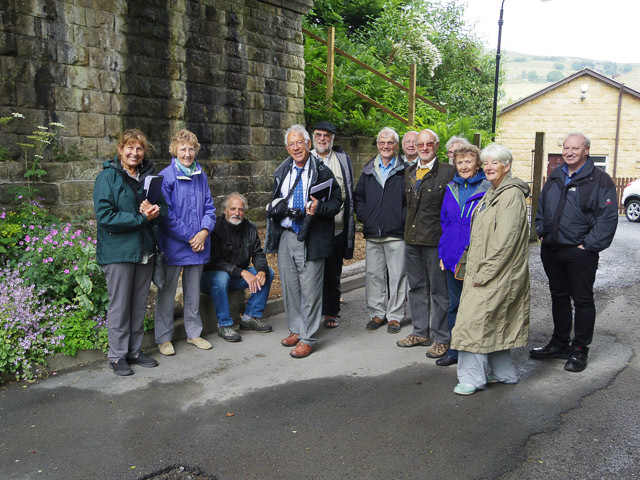 Station and neighbourhood volunteers and supporters showed our visitors round. 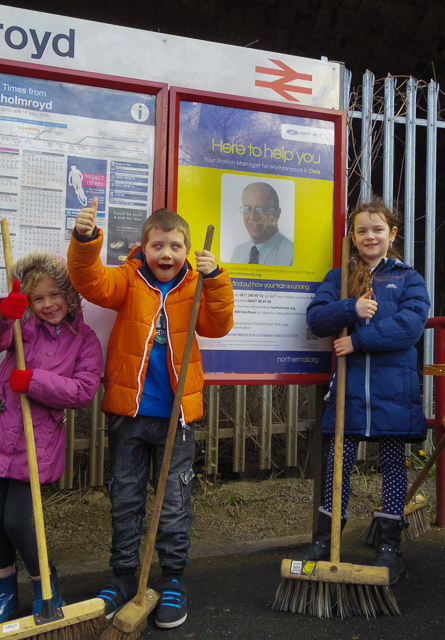 Thanks to everyone – including Town Clerk Jason and Neighbourhood Manager Jae. 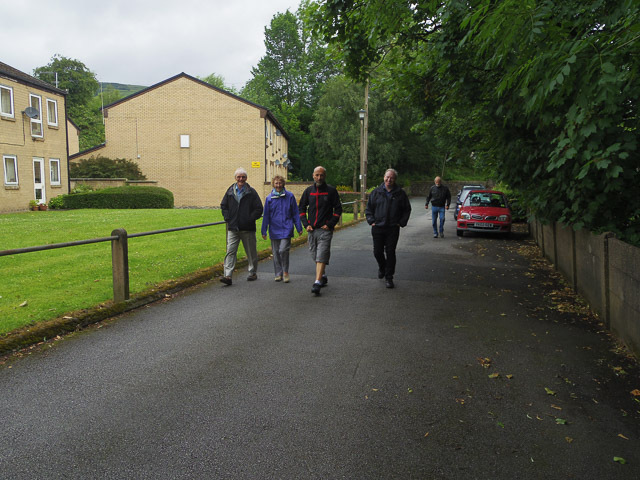 Not bad for amateurs – AND a great friendly team! 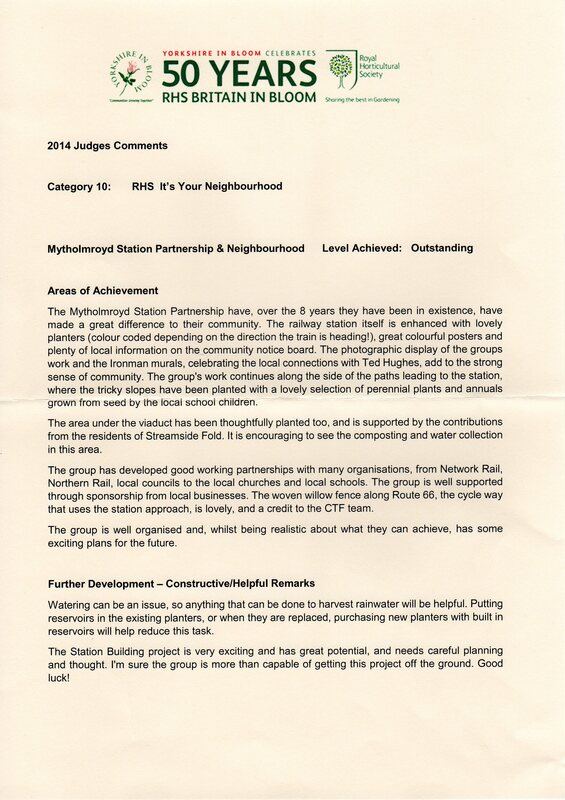 The Award was for our neighbourhood improvements – and meeting such lovely and interesting people. More to it than just pretty flowers in tubs!